A consistent performer, Tibet Nepal House provides delicious food in a charming atmosphere that's just as ideal for a first date as it is for a group dinner. The Details: Ahh, the memories. 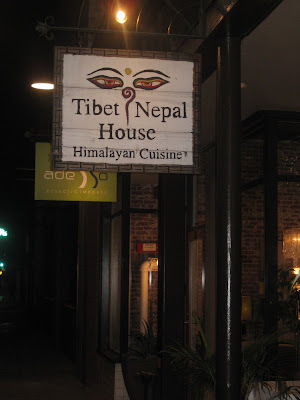 Tibet Nepal House has been a staple in Nick's and my restaurant circuit for the entire time we've been dating. Indeed, it's been a staple of Nick's restaurant -- and dating -- circuit, long before we ever met. He's taken so many first dates here that the restaurant staff knows him on site. Having the staff recognize his date(s), however, is another matter entirely. The atmosphere is casual, but unique. 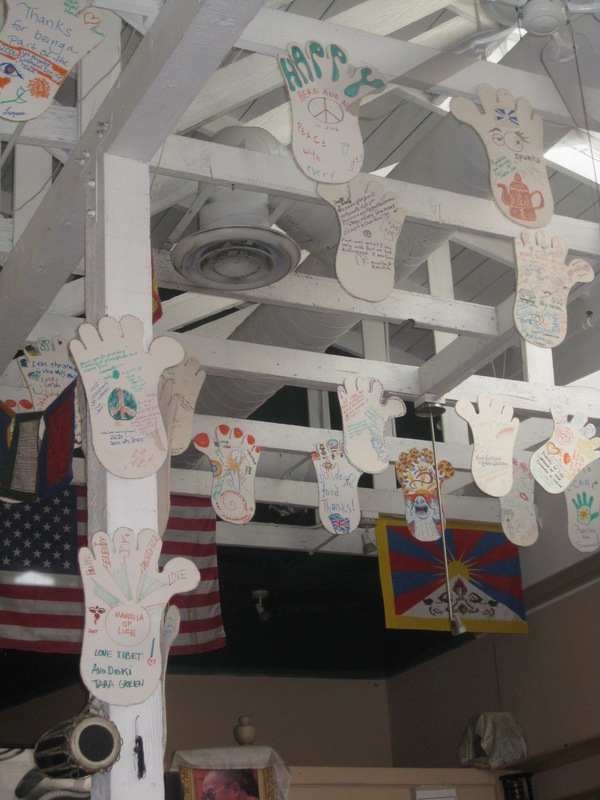 Prayer flags hang from the rafters, as do large paper feet decorated by customers -- which represent the feet of the Yeti (Abominable Snowman). The service is excellent. Also, the restaurant offers free parking (with validation) in the Parsons parking lot. 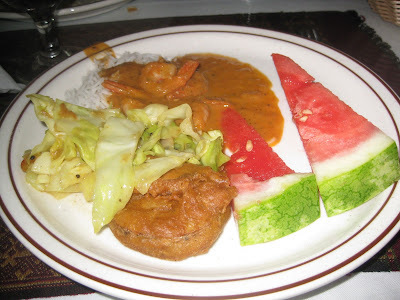 The menu features both Himalayan Nepalese dishes, which to me are virtually indistinguishable from Indian food (hence, why I feel comfortable reviewing the restaurant for this site), and Tibetan dishes, which are similar to Chinese food. One dish that is different from what you find in Indian food are these Momos, or potstickers that are filled with seasoned ground meat. 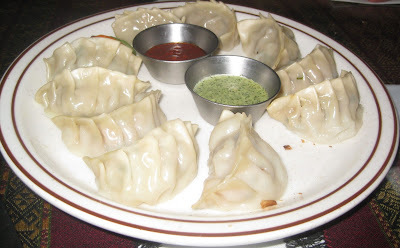 Nick loves them, and I prefer them to samosas, their Indian counterpart, as momos are steamed and not fried. I've added a tiered steamer to our wedding registry for the sole purpose of wanting to make momos at home. Other dishes you'll find here but not at Indian restaurants include hearty Himalayan stews and yak meat, which I have yet to try. Or rather, am scared to try, courtesy of a story Nick told me of a friend who, during Nick's group birthday dinner several years ago, ordered the yak, then proceeded to drink too much alcohol. So, by the end of the night, he had yakked up the yak. On this particular occasion, we'd taken Nick's visiting friend, David, here for an early lunch before he had to catch his flight out of Burbank. 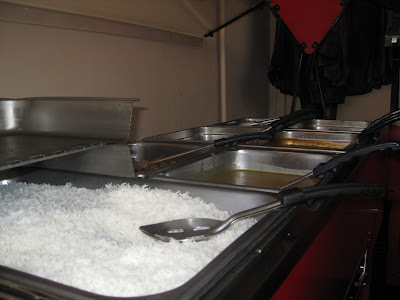 Tibet Nepal House offers a lunch buffet every day from 11:30 a.m. to 2:30 p.m. It's $9.99 and is a small- to mid-size buffet selection of about eight dishes. 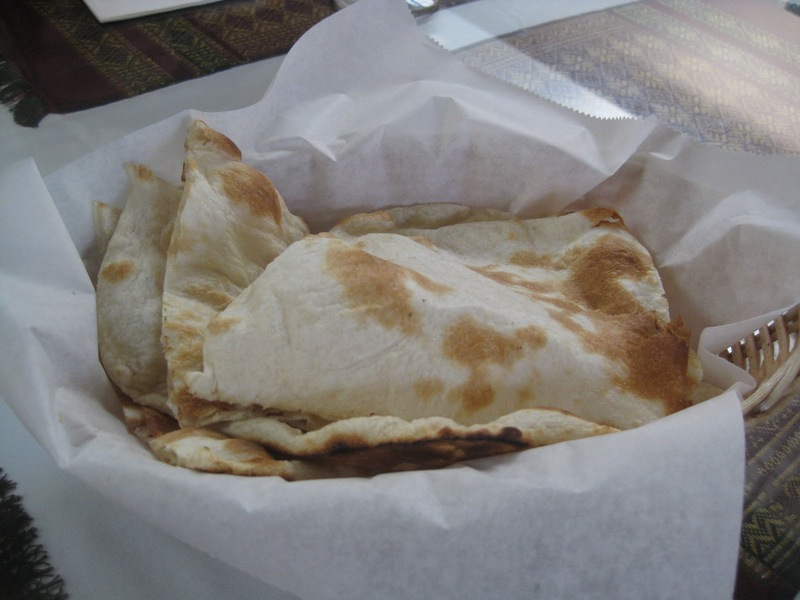 Naan was brought fresh to our table. Champagne is also complimentary during the Sunday buffet. 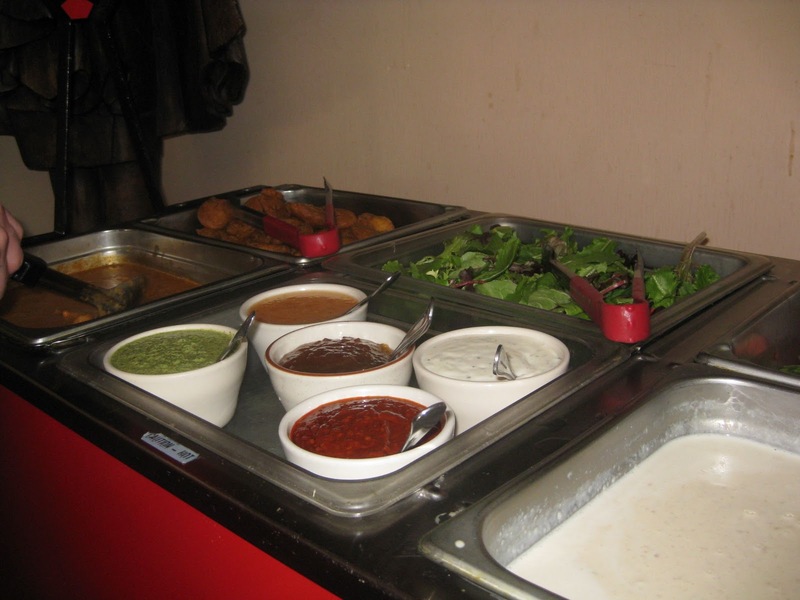 The buffet (and entire menu) is both veg- and non veg-friendly. I really liked the mushroom dish that's on the left side of this plate. David, Nick, and I were all huge fans of the Shrimp Curry. I really liked the cabbage too. I helped myself to the Kheer (rice pudding). It's a great way to finish off a meal. Honestly, the best review to heed on this restaurant isn't mine. It's Nick's mom's. She's a traditional Nepalese woman who grew up in Kathmandu. She has declared Tibet Nepal House "authentic." It doesn't get any better than that. Have you ever tried yak meat? 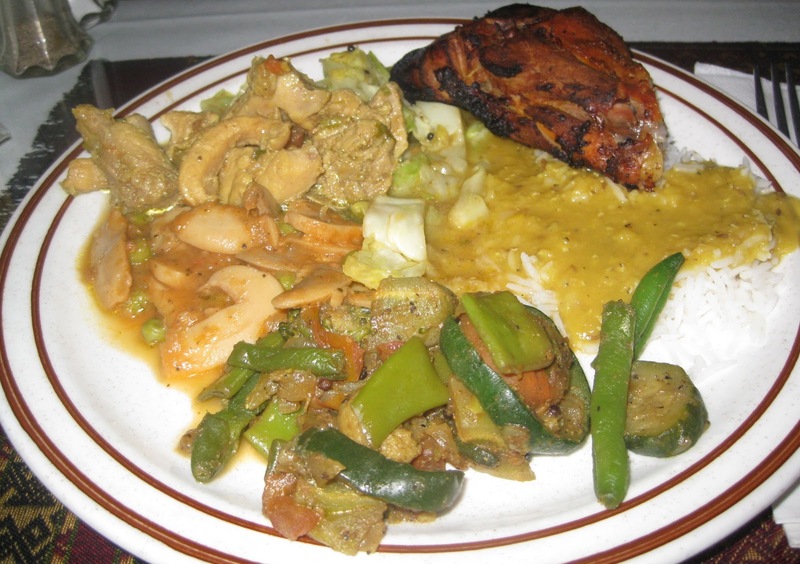 What would you say are the main differences between Indian cuisine and Nepalese cuisine? Tibet Nepal House, 36 E Holly St., Pasadena 91103. (626) 585-0955. Tibet Nepal House is famous due to spicy and tasty dishes. The most delicious thing I like is there tasty samosa and spicy chicken with black Pepper. Specially if you have plan a date with girl friend or want to enjoy with family then dont forget to visit this restaurant. 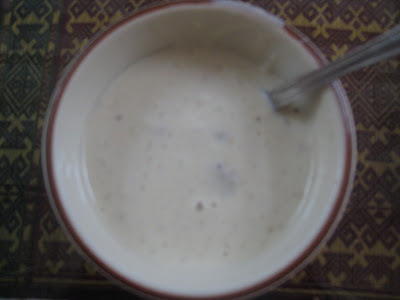 By this blog they improve there writing style and users.